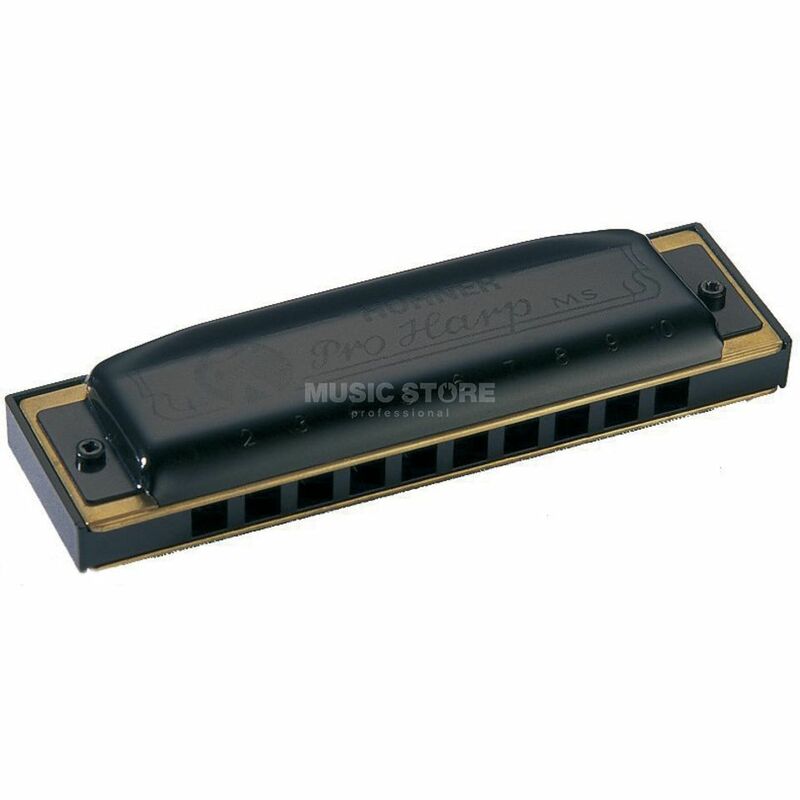 The Hohner Pro Harp MS Bb Harmonica is a diatonic harmonica in Bb offering durability and a powerful sound combined with a stylish, slick appearance. More and more professionals are turning to this harp for its extreme durability, consistent, powerful sound and unique appearance. A well kept secret among performers looking to add an MS model to their arsenal of Special 20s and Marine Bands. The abbreviation "MS" stands for "Modular System", an integrated concept in harmonica design. All individual MS parts (combs, reed plates and covers) can be combined and integrated with any of the MS harmonicas. Customize your harp with features that matter to you. Simple screw connections allow for easy assembly. Screws also allow for easy access to the reed plates, giving the player the ability to adjust the instrument to their own personal requirements.